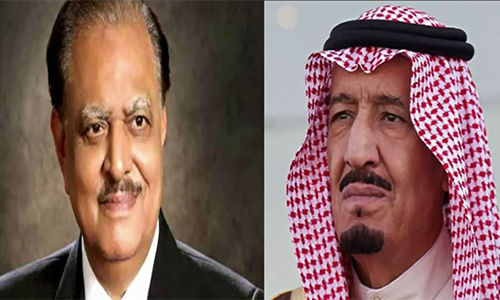 ISLAMABAD (92 News) – President Mamnoon Hussain phoned Saudi King Salman to express grief over the Mina tragedy on Saturday. The two leaders exchanged Eid greetings. President Mamnoon Hussain said that Pakistan stands with Saudi Arabia at this time of trial. He also assured the Saudi king of Pakistan’s full cooperation.